HOUSTON'S LEADING FULL SERVICE HOME STAGING & INTERIOR DECORATING FIRM. BEST OF HOUZZ 2014, 2015, 2016 & 2017 IN CUSTOMER SERVICE! Autumn Dunn is a Certified Interior Decorator and an Accredited Home Staging Professional. Autumn Dunn is a member of RESA, IAHSP, CID International, and is the founding president of the Houston Chapter American Society of Home Stagers and Redesigners. She has appeared on Fox 26 News and Great Day Houston with Debra Duncan. Home staging done just right for the Katy, TX and the Greater Houston area. E-Design now available! VISIT WWW.THREEBEARSHOMESTAGING.COM to see our pricing or call us to set up a consultation. Check out our new book "Just Right! Easy DIY Home Staging" now available on iBooks. Award winning home staging can help you sell your home quicker and for more money. I am absolutely passionate about decorating and love my job. I want to share my passion with you to make your home stand out among the competition. Home staging can give your home that model-home look that will attract buyers looking online. I provide occupied and vacant home staging, as well as vignette staging. I also have a large inventory of artwork and accessories for rent if your home just needs a little bit more pizzazz. Give me a call today and lets discuss your listing. Staging plays an essential part in getting the house sold for the maximum price without keeping it in the market for a long period of time. In the real estate market the key to get the most return on your investment is to stage the house first. As a professional home stager and a Realtor, I've seen houses getting sold in a record amount of time and for the top dollar when get professionally staged. Try it and you'll find the difference. 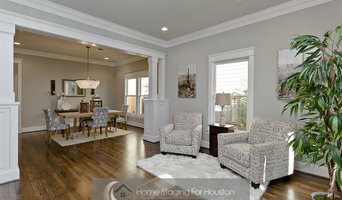 Houston Home Staging is NO LONGER OFFERING STAGING SERVICES OR FURNITURE RENTALS. Many thanks to our past clients for their support! What does a Richmond home stager do? 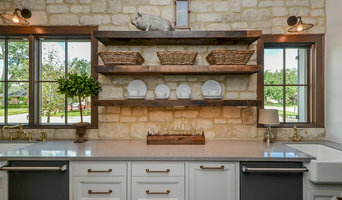 Home staging companies in Richmond, TX employ a variety of different techniques to present the home in the best light possible. The first step will likely be to make sure the home is impeccably clean, including the exterior of the house. Next the home stager will work on removing the personal touches that are unique to the current owners. Paint colors might go from dramatic reds and purples to neutral tones like beige and taupe, in order to appeal to the masses. The home will likely be cleared of family photos, risqué artwork, collections and knickknacks, so potential buyers will be able to better envision their own life in the house. In some cases furniture will be swapped out, and you might not even recognize your own house. Some Richmond home stagers tackle most of these tasks themselves, while others work with subcontractors and other professionals to get the job done. Here are some related professionals and vendors to complement the work of home stagers: Interior Designers & Decorators, Photographers, Real Estate Agents. The process of staging a home can be difficult for some homeowners, especially when being asked to change things you’ve poured your heart and soul into over the years; but try not to take anything personally, as the stager only has your best interest in mind and no intention of insulting your personal taste. Before you contact a professional home staging company in Richmond, TX, make sure to consider a few things: Are you willing to change your home and take the advice of this professional to help sell your house? Do you think your house would greatly benefit from the help of a stager? How long are you comfortable having your home on the market? A staged home is likely to sell faster and, on occasion, at a higher asking price than a non-staged home. While there is no guarantee this will always be the case, it’s often true and can make the entire selling and moving process a lot less stressful in the long run. If you are selling through a real estate agent, it’s a good idea to get their opinion on whether staging your home would be beneficial to your specific situation. Find a certified Richmond home stager on Houzz. Narrow your search in the Professionals section of the website to Richmond, TX home stagers. You can also look through Richmond, TX photos by style to find a room you like, then contact the professional who staged it.